New Castle Insulating Brick is some of the finest brick made. We carry 2300°F & 2600°F Insulating brick in straights, #1 arch, #2 arch, and wedges. Prices are per brick. Bricks are packed 25 to a carton for straight Insulating brick. Arches and wedges are sometimes 30 to a carton and sold in carton quantities only. Hard brick is shipped loose on pallets. Bricks are standard 2 1/2” series. Call for different shapes and sizes. Add 45¢ to the above prices for arch and wedge shapes. Prices on brick reflect the drop-shipped price from the brick plant. To hold down brick prices, we feel it is better to ship bricks just once. For smaller quantities, we ship brick from our facility. When bricks are shipped from our facility via UPS, there will be a $10.00 handling fee per carton in addition to shipping charges. Prices listed above, reflect brick price only and do not include shipping. Bricks may be combined to total quantity pricing. Mt. Savage High Duty hard brick is a dense, tough, dry-pressed brick that will hold up to all your kiln needs. 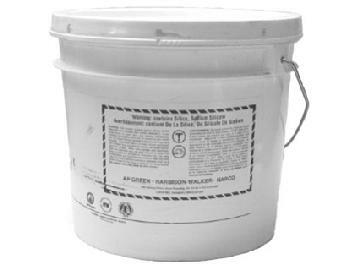 It is rated to Cone 32 with a cold crushing strength of 3000-4000 psi. Brick weight is 131-135 lbs. per cubic foot, or roughly 8 lbs per brick. Brick is shipped stacked on pallets from the factory, 456 bricks per pallet. Prices are for standard 9” x 4.5” x 2.5” brick. There is a $25.00 charge anytime pallet size is broken. 125 brick minimum. NOTE: We also carry High Alumina Super Duty Brick in different Alumina percentiles. Please call for specific Alumina percentiles and pricing. Add 45¢ to the prices below for arch and wedge shapes. Sairset is a wet, high temperature, air setting mortar that is an excellent troweling mix to bond fiber, brick, and metal. Made with colodial silica to provide stickiness. Apply in thicknesses under 1/8". 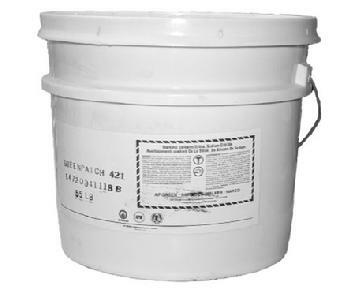 Greenpatch 421 is very similar to SAIRSET but can be used in any thickness to bond, fill, or coat. Comes wet and ready to trowel.